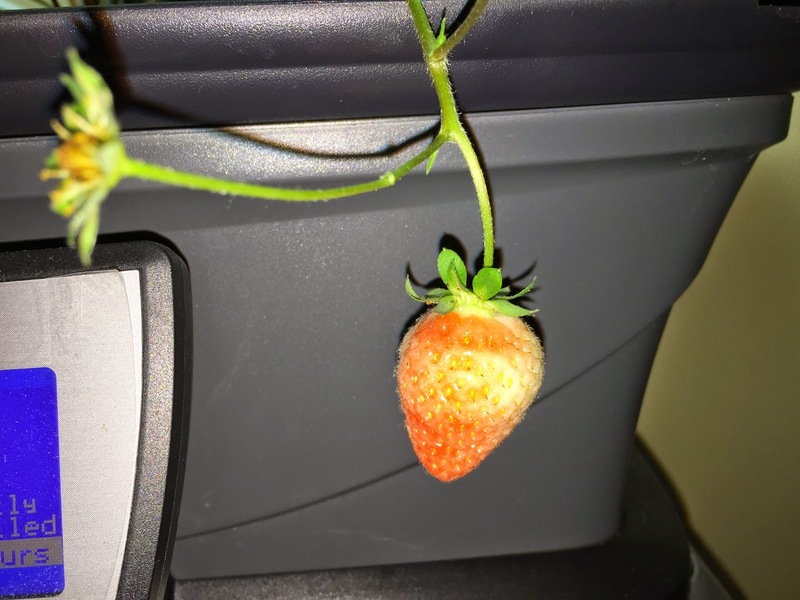 My first "real" strawberry, after a string of stunted and shriveled ones, came in December. Here's what it looked like on December 4. Notice that on the same vine, its sibling never grew more than a few millimeters in diameter before it shriveled up. And here's what it looked like three days later on December 7. Slicing it open, it was a perfect strawberry through and through., juicy and sweet. Wanting to savor the moment, I actually sat down and sliced it, eating it like a steak and savoring every little bit. 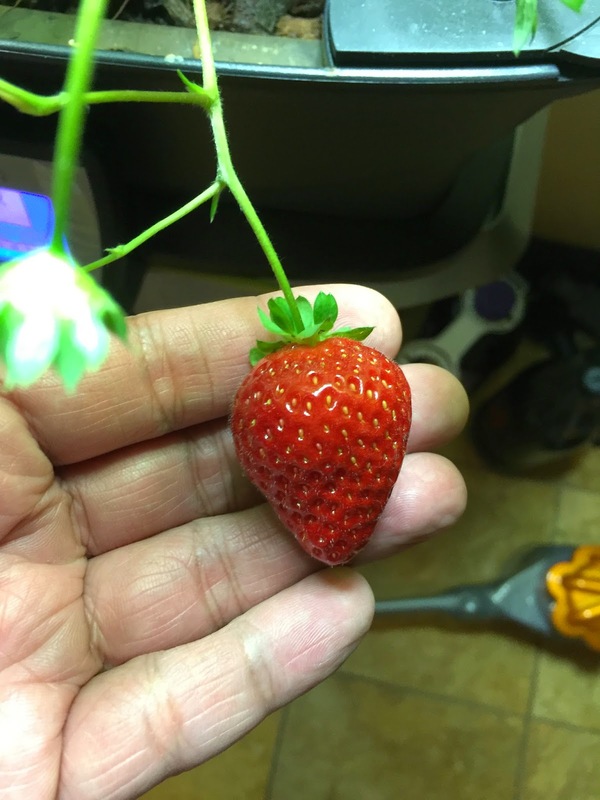 At this rate, I may enjoy one strawberry every few months, so I figure I'd make the most of it.